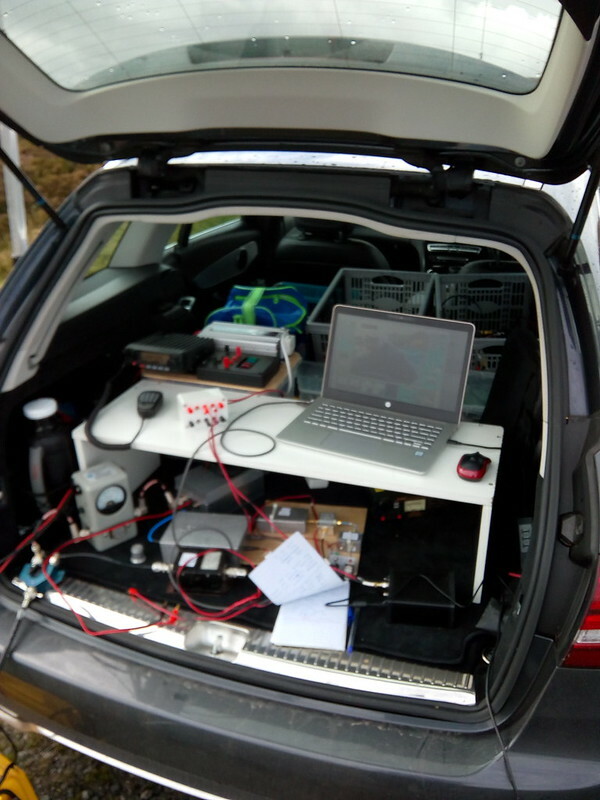 G4BVK & myself are planning some more 71MHz tests on Friday 14th September. 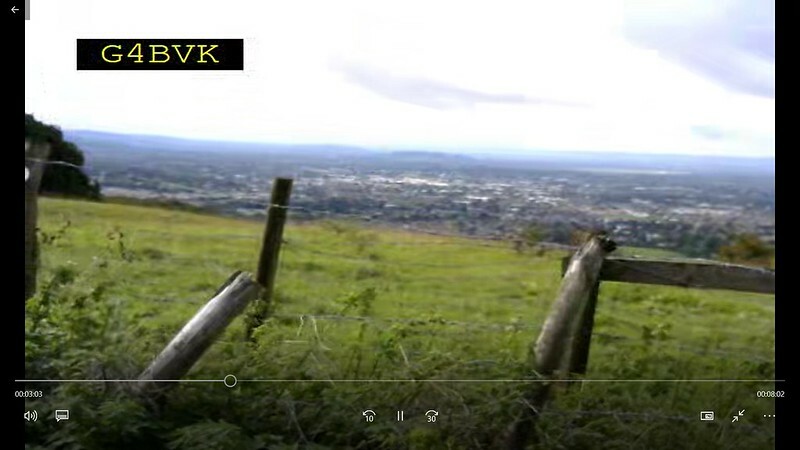 This time we are going to try a true line of sight path, Dunkery Beacon to Cleeve Hill, Cheltenham. This is about 140km. If the weather is fair, which it looks at present, we aim to be on site by about 11.00am. I will be at Dunkery and will also take 5.6GHz gear if anyone who wants a qso on this band lets me know in advance. Looks like there will be some 5.6GHz activity from Dunkery, Hay Tor and the Quantocks, and 23cm from Cleeve Hill. Listen out from 11.00am on 144.750MHz horizontal FM, Whatsapp and Zello channels ATV south. It would be great to join you but I will be traveling up to Coventry for CAT18. I am pleased to report that our tests on 14th September were a great success, despite the efforts of the weather to disrupt them and the traffic to delay me getting there (and home afterwards)! 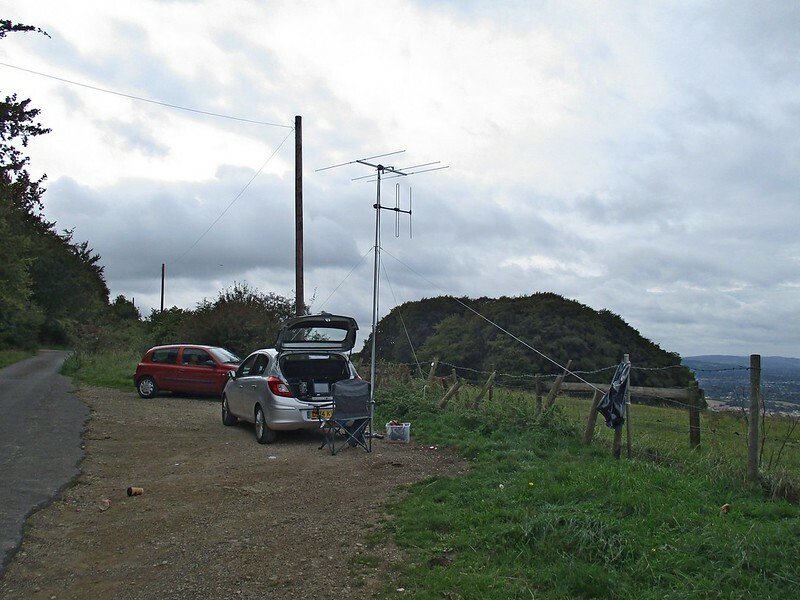 G4BVK/P at Cleeve Hill, Cheltenham (IO81XW90) and myself at Dunkery Beacon, Exmoor (IO81FD19QU) exchanged very good pictures on 71MHz. 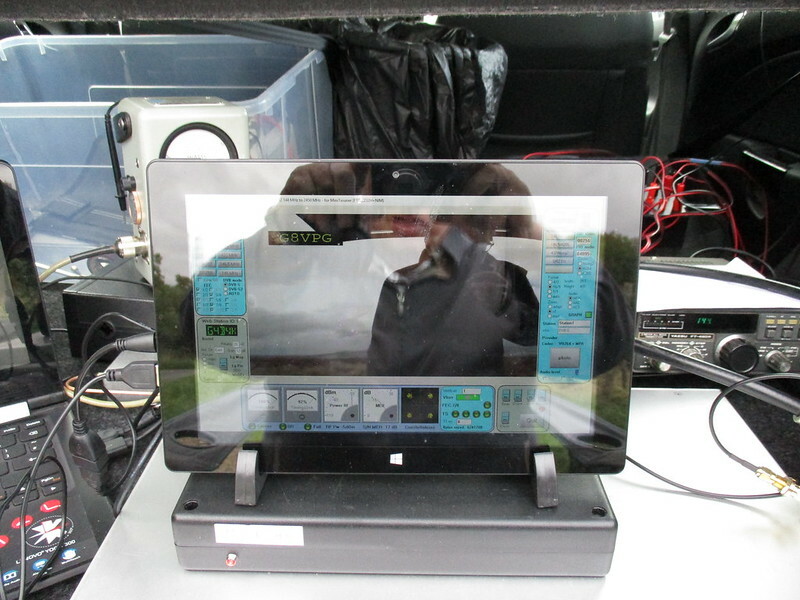 We were both running about 20W into 3 element beams, using 333ks/s with H265 codec. The picture quality was superb with consistent lock throughout each over. Kens pictures peaked at 12dB MER with me and mine were 22dB with him. I was able to reduce power to 2W and still maintain 7-8dB MER locked pictures with him.The distance was 136.6km and unless anyone knows different, I believe this is now the current record for the band. To complete a good day, I also had two very good two way QSO's on 5.6GHz. 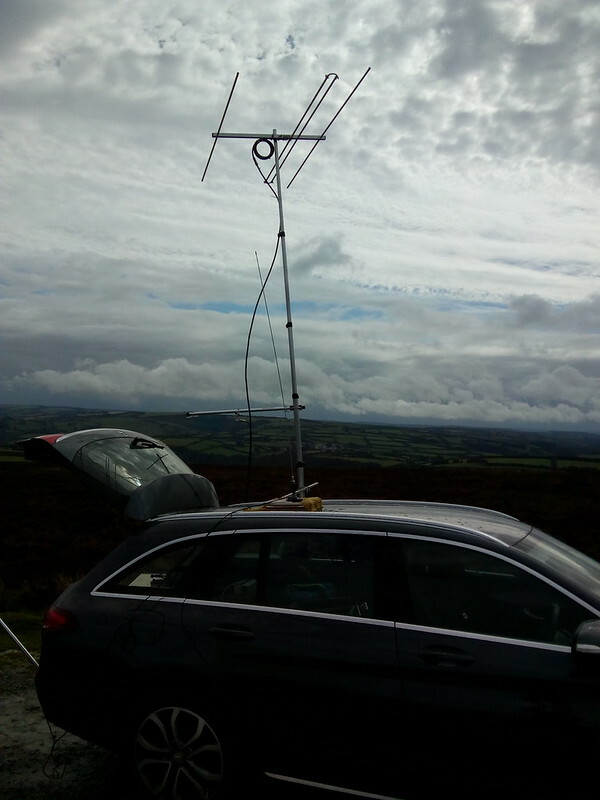 Alec G8GON/P was at Hay Tor, 66km nearly line of site and we exchanged P4/5 reports. Adrian G4UVZ/P was on the Quantocks, 34.7km obstructed path and we exchanged P3/4. Thanks to everyone who went out portable and helped to make a very interesting day. Congratulations on your record-setting RB-DATV QSOs on the new 4M band (136.6 KM).